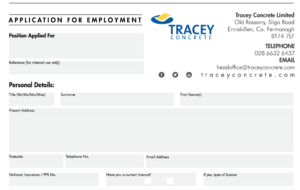 Please email all 3 completed forms back to headoffice@traceyconcrete.com or post it back to our main office. 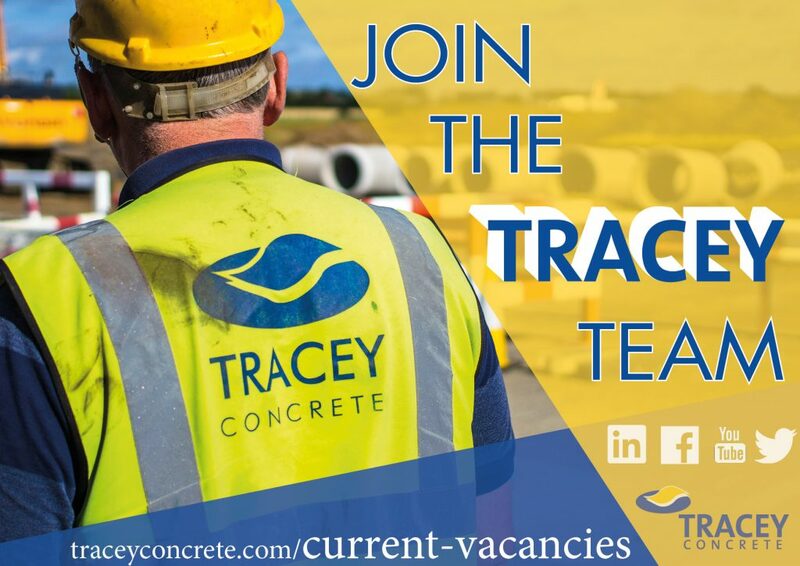 Required to operate and work as part of team to produce high quality concrete products. Required to transport precast concrete products from factory and load concrete products on lorry trailers. Required to have knowledge of HGV services, PSV, 8 week inspections & running repairs. Basic knowlege of electrics, ABS, EBS & air brake systems. Required to deliver precast concrete products throughout Ireland – No overnights required. For more information on any of these roles please contact our head office.